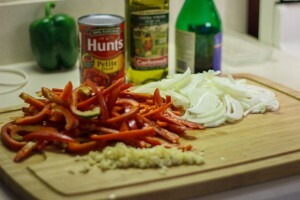 Cut the onions and red peppers into long strips about 1/4 to 1/2 inch wide. Mince the garlic. Drain the can of tomatoes. 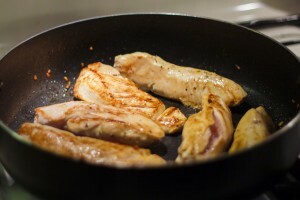 Cut the chicken breasts in half length-wise (see picture below). Use a few tablespoons of olive oil and get that on the heat. Add the peppers and onions. Lightly season with salt and pepper. 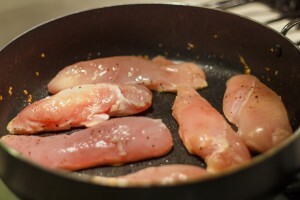 Cook until they start getting soft. 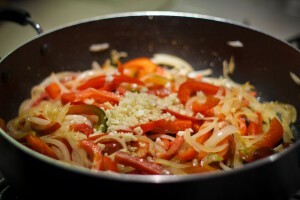 Now add the garlic. We save the garlic because it’s much smaller and don’t want it to burn. 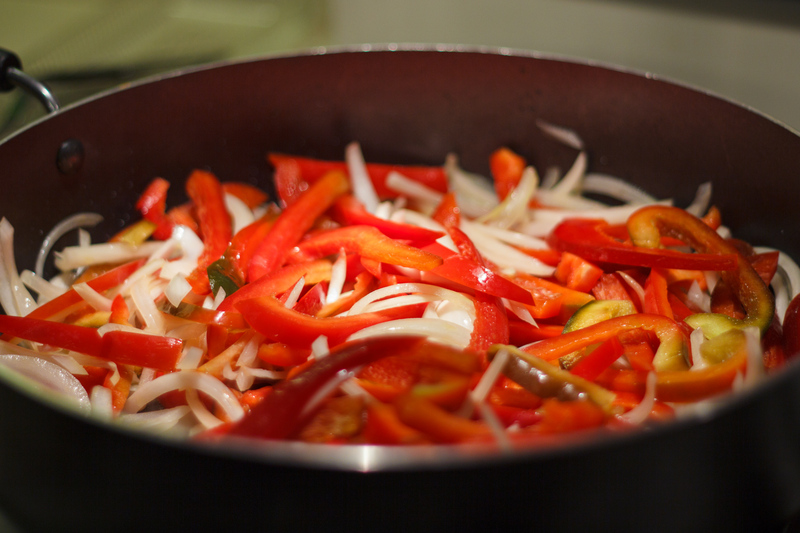 Move the peppers and onions out into a bowl and set aside. Season the chicken breasts with salt and pepper. Don’t be shy. They need a good punch of flavor to stand up to the peppers. Get a little oil in the pan, get it hot, and add the chicken breasts. Once the chicken is browned, add the tomatoes and the balsamic vinegar. 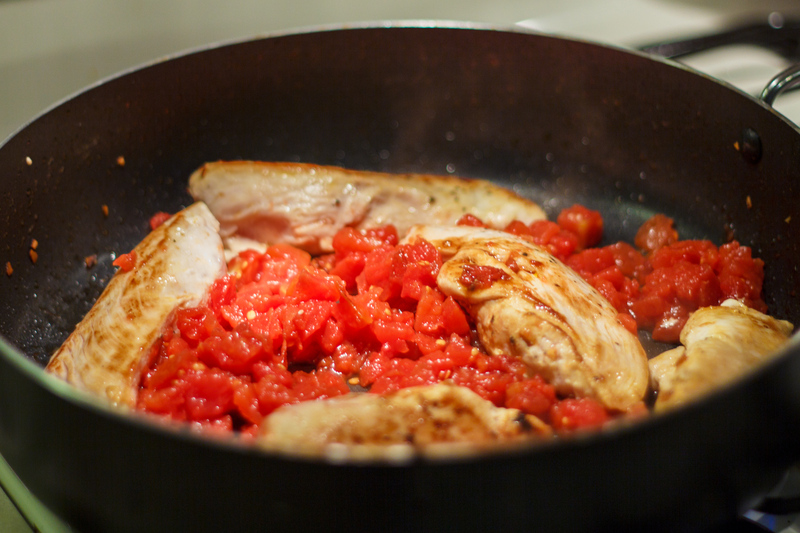 Add red pepper flakes if you like a little heat – omit otherwise. Cook for a minute or two at the same high heat, but keep it moving! 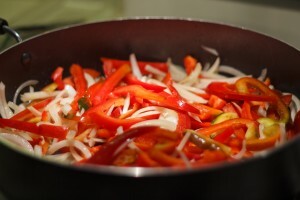 Toss the peppers and onions in and reduce the heat to medium-low. 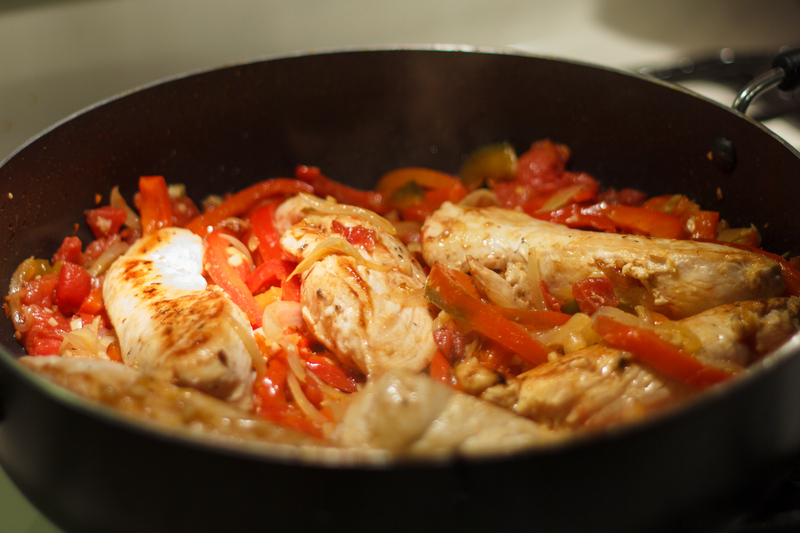 Cook for about 20 minutes without a lid. Take care to not let anything burn. 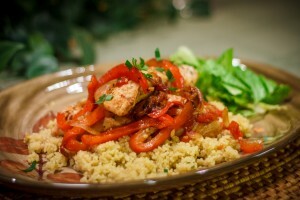 Balsamic & Red Pepper Chicken ala Potako is now prepared. 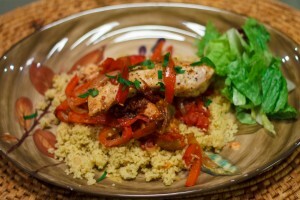 Serve over rice, couscous, noodles, or whatever you like! Garnish with freshly chopped parsley or basil. Enjoy!